1: UAE Gratuity and End of Service Benefits. Below are the details of most Important things every expat (worker, employee) should know if he/she is working or keen to get employment visa here in United Arab Emirates. The Employment Law contains exact provisions whereby the daily period of work has been prescribed. The maximum working hours for private or general workers shall be 8 hours a day. Working hours for employees who are working under Hospitality, Hotels, Trading, Security or Cafeterias visas can be extend or increase to 9 Hours a day. As per UAE Employment LAW, the working hours may be reduced than 8 hours for harmful (strenuous) works. As per UAE LABOUR LAW, Normal working hours for General Labours are reduced by 2 hours daily during the holy month of Ramadan across UAE. Government entities are not governed by the Labour Law and they operate for 7 hours in a day. Working for more than 7 hours a day is strictly prohibited in arduous or unhealthy works and industries. Construction and industrial workers (General Labours) are not permitted to work during the hottest hours of the day during the summer season. Those who are working during the designated break time would be fined 5,000 AED per worker up to a maximum of 50,000 AED. This fine should be paid by company not worker as all companies across UAE has been given a notification. Also, employees (General Labours) are entitled to work 2 hours less every day during the holy month of Ramadan. "The maximum number of ordinary working hours for adult workers shall be eight hours per day, or forty-eight hours per week. The number of hours may be increased to nine hours per day for people employed in trade, hotels, cafeterias, security and other jobs whose addition may be made by a decision from the Minister of Labour. Furthermore, the daily number of working hours may be reduced for strenuous or harmful works and such by a decision from the Minister of Labour and Social Affairs. The ordinary working hours shall be reduced by two hours during Ramadan. The commutation periods spent by the worker from the place of residence to the work site thereof shall not be calculated within the working hours." So, as per Article 65 identifies the normal working hours for the private sector as 8 hours per day or 48 hours per week, please note that the working hours may be increased to 9 hours a day for businesses, hotels and cafes after approval from Ministry of Human Resources and Emiratization. An overtime is considered if the nature of job demands working beyond normal working hours and it will entitle the employee for a pay equal to normal working hours' remuneration plus 25% (25 per cent) of that pay. It could increase to 50% (50 per cent) if overtime is done between 9 pm and 4 am. "Where the work circumstances require a worker to work more than the normal number of hours, any period worked in excess shall be treated as overtime, for which the worker shall receive the wage stipulated for his normal working hours, plus a supplement of at least 25 per cent of that wage." The Employment Law describe that the maximum overtime work hours for a worker shall not exceed 2 hours in a day. "The number of actual hours of overtime shall not exceed two a day, unless work is necessary to prevent the occurrence of substantial loss or a serious accident or to eliminate or alleviate its consequences." Friday is the official weekend for all workers across UAE, except for daily wage workers. If circumstances require an (worker) employee to work overtime on that day, he/she will be entitled for regular working hours' pay, plus an increase of not less than 50% (50 per cent) of that amount. A: 2 days of each month, if they have completed 6 months of service but not 1 year. B: 30 days, if they have completed 1 year of service. Employees are entitled to a sick leave of not more than 90 days of each year subject to conditions stipulated in the law. Important point to be noted that they will receive full pay for the first 15 days, half pay for the next 30 days and no pay for the rest 45 days. 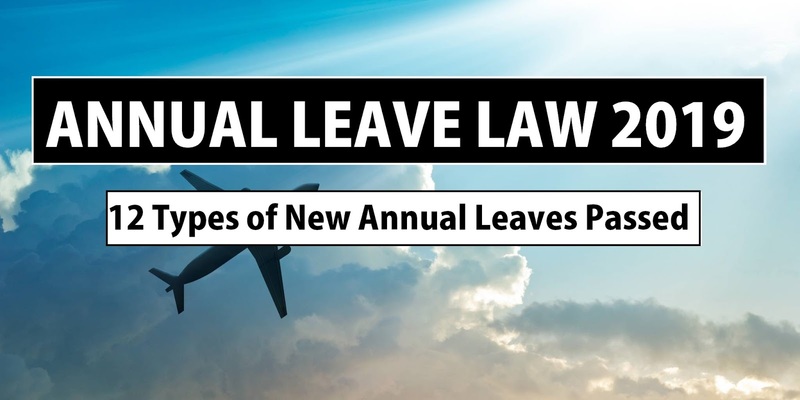 Special leave also known as HAJ or UMRAH leave. Employees (workers) may be granted a special leave without pay, which may not exceed 30 days for the performance of Haj once throughout his entire service for the company. This is granted only once during his total years of employment. “Employees are not entitled to any paid sick leave during the probation period’’. Female employees are entitled to 45 days of full pay for maternity leave if she has served continuously for at least one year. Maternity leave is paid with half pay if one year of service has yet to be completed. At the end of the maternity leave, the woman could extend her leave at an unpaid rate for a maximum period of 10 days. For the first 18 months following delivery, female employees who nurse their child are granted 2 paid rest intervals per day, not exceeding 30 minutes, to complete tasks. “Working fathers are not provided paternity leave under the law”. 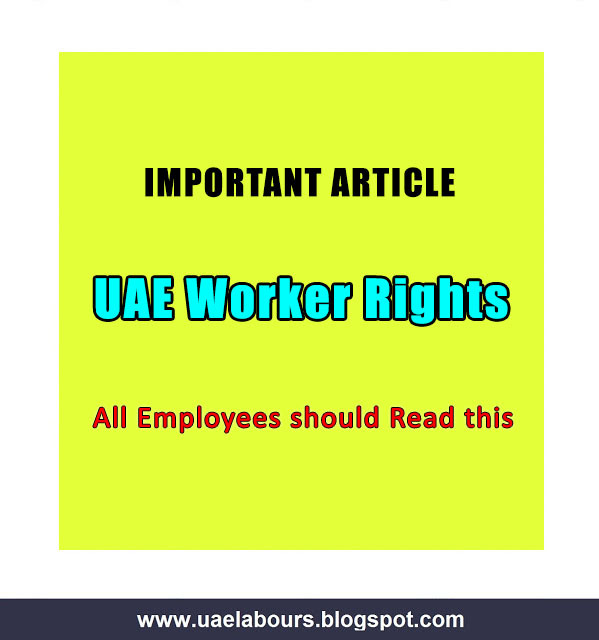 There is no minimum salary stipulated in the UAE Labour or Employment Law, however, it clearly mentions that salaries (wages) must cover basic needs of the employees. “Minimum wage and cost of living index is determined either in general or for a particular area or a particular profession by a decree and consent of the Cabinet”. The Wages Protection System (WPS) is an important step by UAE to ensure and protect the rights of (employees) workers, and to establish trust between companies and their staff. Under WPS, salaries of workers will be transferred to their accounts in banks or financial institutions (Money Exchange), which are authorized by Central Bank of the UAE to provide the service. For any concerns or complaints regarding the salary, employees can contact the MoHRE or lodge a complaint through eNetwasal. “Employees can complaint regarding salary issues to MOHRE or through e-Netwasal”. 1: If the worker resigns of his or her own free will (resignation) before completing 1 year, then they will not be entitled to any gratuity pay. 2: Worker is entitled to a gratuity for the served fraction of a year, if he completes one year of continuous service. 3: The ESB (Gratuity) will calculate on the basis of last salary which the employee (worker) was entitled to, namely the basic salary. But it will not include allowances such as Accommodation, conveyance, utilities, furniture etc. 4: If the employee (worker) owes any money to the company (employer), the company may deduct the amount from the employee's gratuity. If an employee (worker) has served for less than 1 year, he is not entitled to any gratuity pay. If an employee (worker) has served more than 1 year but less than 5 years, he is entitled to full gratuity pay based on 21 days' salary for each year of work. If an employee (worker) has served to company for more than 5 years, he is entitled to full gratuity pay based on 30 days' salary for each year of work. If an employee (worker) has served a company for more than 1 year but less than 5 years, he is entitled to 21 calendar days' basic salary for each year of the first 5 years of work. If an employee (worker) has served a company for more than 5 years, he is entitled to 30 calendar days' basic salary for each additional year (Duration after 5 years of work), provided the entire compensation does not exceed two years' pay. If an employee (worker) resigns before completing 1 year, he is not entitled to any gratuity pay. If an employee (worker) has served company between 1 to 3 years, he is entitled to 1/3 (one third) of 21 days' basic salary as gratuity pay. If an employee (worker) has served company between 3 to 5 years, he is entitled to 2/3 (two-third) of 21 days' basic salary as gratuity pay. If an employee (worker) has served company for more than 5 years, he is entitled to full 21 days' basic salary as gratuity pay. UAE Labour Law and UAE Employment Law Guide ends here.